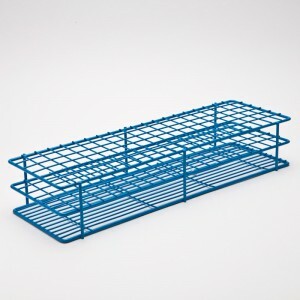 187860750 POXYGRID® RACK AND A HALF 10-13MM, 120 PLACES "
tube mm: 10-13 places: 120 rows sizes: 6 x 20 length x width x hei: 331x 110 x 60mm (13 1/32 x 45/"
The durable and smooth coating is impervious to organic solvents, salts, weak acids and weak alkalis. Per each Extra long racks with more wells for high volume processing and storage. Available to hold 10-13mm or 15-16mm diameter tubes. Epoxy coated steel wire racks are chemical and corrosion resistant.